Trump administration's announcement of deportation of SS guard from concentration camp sparks partisan fight. JTA - In the Trump era, even the deporting of Nazis can’t bring Americans together. But nothing escapes politicization in these polarized times, and Monday’s announcement was no exception. Critics of Immigration and Customs Enforcement pointed out that the announcement arrived only hours after a special ceremony at the White House honoring the agency. These critics said the timing was intended to deflect the intense scrutiny of the agency’s aggressive tactics in removing undocumented immigrants, regardless of their criminal records. 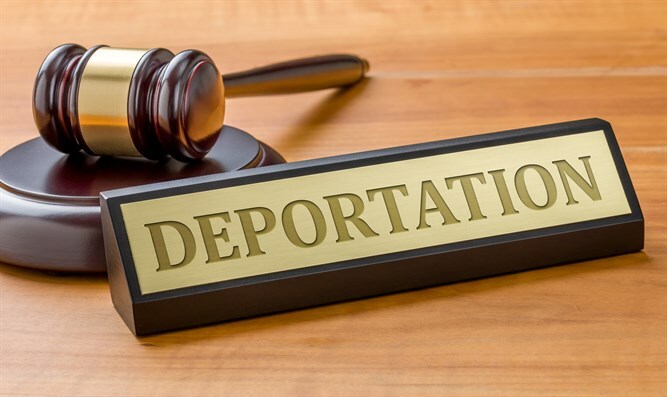 Some Democrats have called for abolishing ICE and refocusing immigration enforcement efforts on undocumented immigrants who come to the attention of law enforcement. “[I]t is not hard to see a malign political motive in the White House’s press campaign surrounding the deportation,” Josh Marshall of the left-wing Talking Points Memo wrote. “Thank you ⁦@ICEgov⁩ for apprehending an ACTUAL Nazi & deporting him. This would be a good occasion for radical Democrats to reconsider their ill-advised attacks [on] brave ⁦@ICEgov⁩ officers,” tweeted Sen. Tom Cotton, R-Ark., one of ICE’s most outspoken proponents in the Senate. His use of “ACTUAL” presumably referred to some left-wing attacks comparing ICE officers to Nazis. Conservative commentator Glenn Beck took a similar tack. “ICE deports White Nazi? I thought they were white supremacists? Facts can be stubborn things,” he tweeted. Marshall also wanted to talk policy, not politics, specifically about whether aggressive attempts to strip the citizenship of naturalized citizens violate a tradition that treats all citizens the same.